Owner, cameraman, and chief editor of Qui Pro Quo Video Productions. 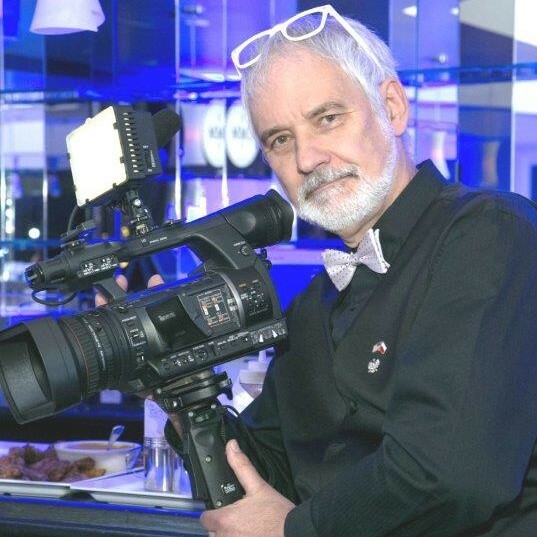 Peter brings with him ten years experience in European TV and broadcasting. He has earned an engineering degree from the prestigious Polytechnic Institute of Poland. PETER ENJOYS HIS WORK. His love of videography is evident in his ability to capture those special moments at a party with an artist's eye. Peter's keen perceptiveness often allows him to be at the right spot at the right time. His quick shooting style makes his videos fun to watch and full of life. Member of WEVA and LIVA. Fully insured.